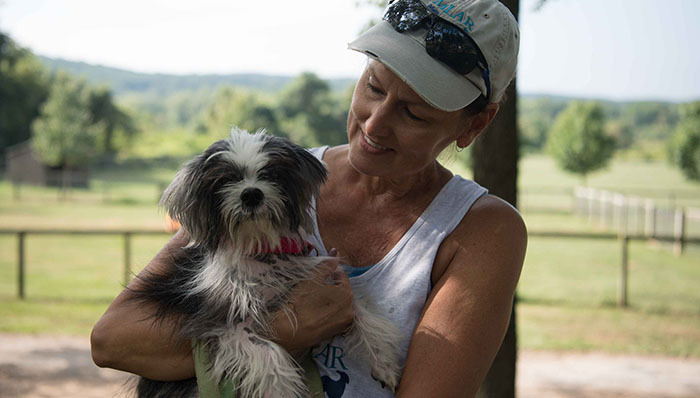 Main Line Animal Rescue accepts more animals in need of health and rehabilitation services than any other organization of its kind. When MLAR receives a call in the middle of the night when an animal needs emergency care, we assume the responsibility regardless of the eventual costs. Knowing that this emergency was not planned for in our budget, we understand that this animal should be given a chance. 100% of the budget is generously donated by individuals who understand and support our mission. With no adoption fee, no federal, state or local funding, your donation directly impacts the lives of these deserving pets. Often the animals we rescue are frail, malnourished, physically abused, traumatized, or coping with a number of medical issues. The first step in making these pets adoptable is to nurture, nourish, and nurse them back to health. Our veterinary staff combines skill and compassion to dramatically improve the wellbeing of these forsaken creatures — physically, mentally, and spiritually. 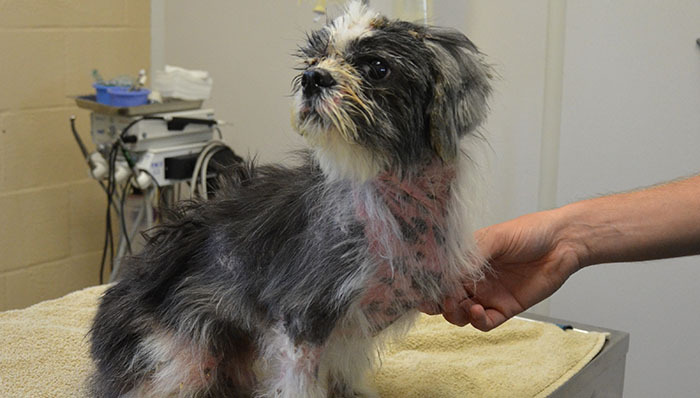 High volume shelters and rescues often contact MLAR when animals suffer from medical issues. We are committed to their health and safety for as long as they are in our care. The next step in rehabilitation is Home School, Shy Dog Class, Petiquitte or one of the many other programs designed to support the emotional or physical health of our pets. 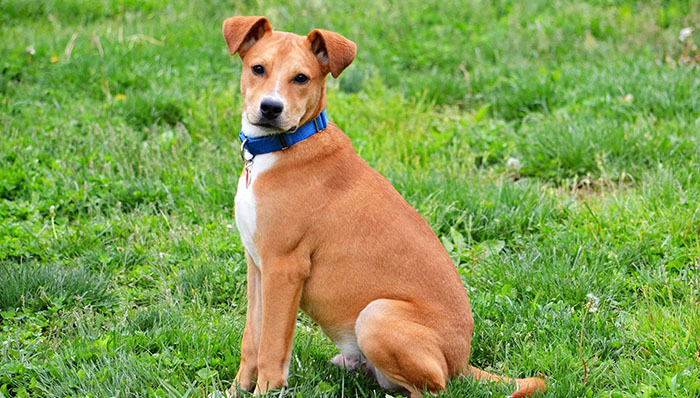 Our goal is to help our animals fulfill their potential and find loving and permanent homes. Charity was an impulse buy by a family looking for a cute puppy; unfortunately, they were not prepared for the responsibilities of pet ownership. Charity’s thick Shih Tzu coat continued to grow and grow but the family did not get her the grooming she so desperately needed. After a year of living in discomfort Charity was surrendered to animal control so that the family could get a new dog. Main Line Animal Rescue knew there was a beautiful dog ready to blossom underneath all of the dirt and matted fur. 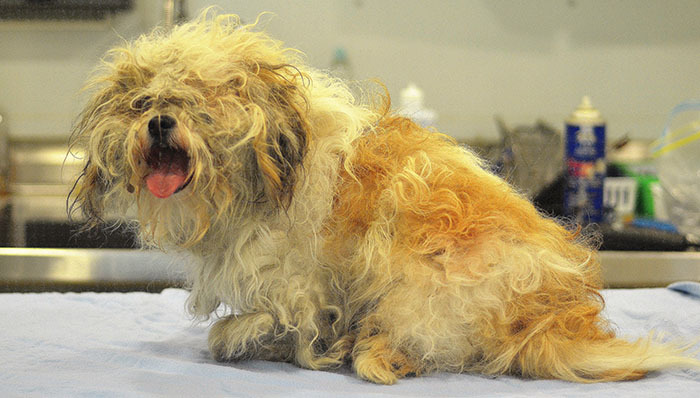 When Charity arrived in our grooming room her legs were so badly matted that she couldn’t even move them. It took hours of delicate grooming to free her from her prison of filth but as soon as Charity realized she was being cared for, a huge smile lit up her face and stayed there all the way to her new home! Chase was well loved in his former home but developed allergies that progressed until his fur had been completely replaced by painful, itchy scabs. His family was unable to care for his condition and under the recommendation of a medical professional he was surrendered to Main Line Animal Rescue. The MLAR vet staff set to work treating Chase’s skin and ear infections and partnered with a nationally renowned dermatologist to ensure that Chase received the absolute best care. It took months to treat all of his infections and to regrow his beautiful coat but Chase’s recovery time at Main Line Animal Rescue was made easier by the love and care he received from our staff and volunteers. Chase is now completely healthy and cherished by his new family! 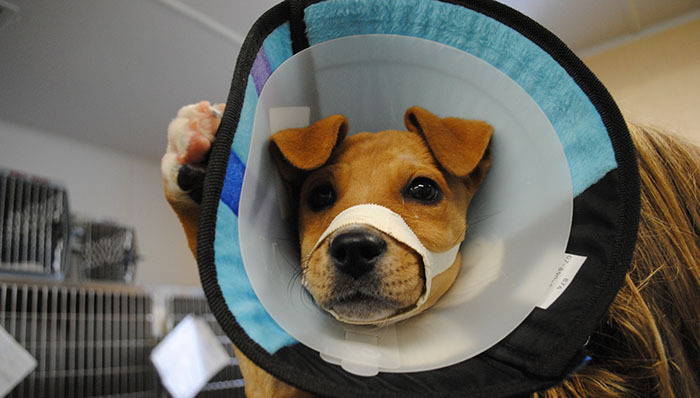 Cooper was only a couple of months old when he was attacked by another dog and suffered a badly broken jaw. He was surrendered to the University of Pennsylvania School of Veterinary Medicine and Main Line Animal Rescue quickly stepped up to the plate to cover the cost of his surgery. We helped Cooper heal physically and emotionally with months of rehab and positive social experiences in Puppy Kindergarten class. 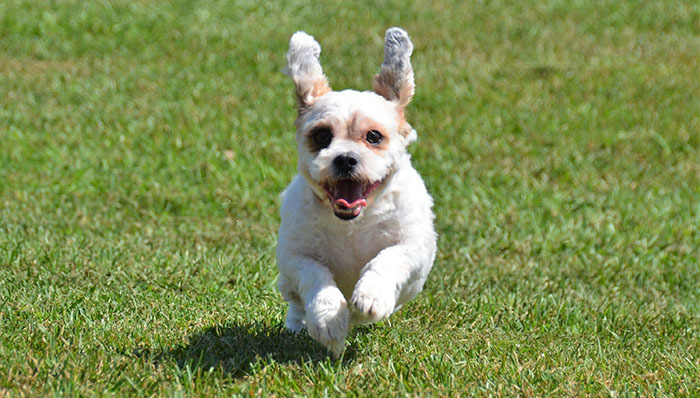 After he was cleared by the veterinarians he graduated from our Petiquette class and is now loving life on a small farm with many two and four-legged family members!